US equity indexes closed moderately mixed, sp +4pts at 2555. The two leaders - Trans/R2K, settled +0.5% and -0.1% respectively. 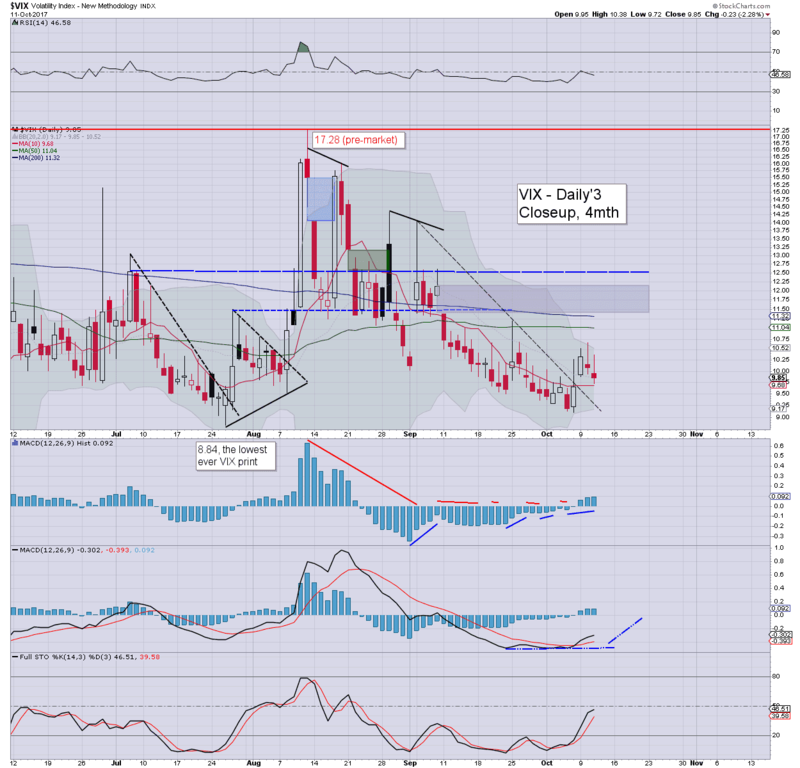 VIX settled -2.3% at 9.85. Near term outlook offers a sig' break lower, as the gap zone of sp'2474/61 remains a technical necessity, before a better chance of the 2600s by late November. It was another rather tedious day in equity land, with the sp' generally trading within an exceptionally narrow 4-5pt range. 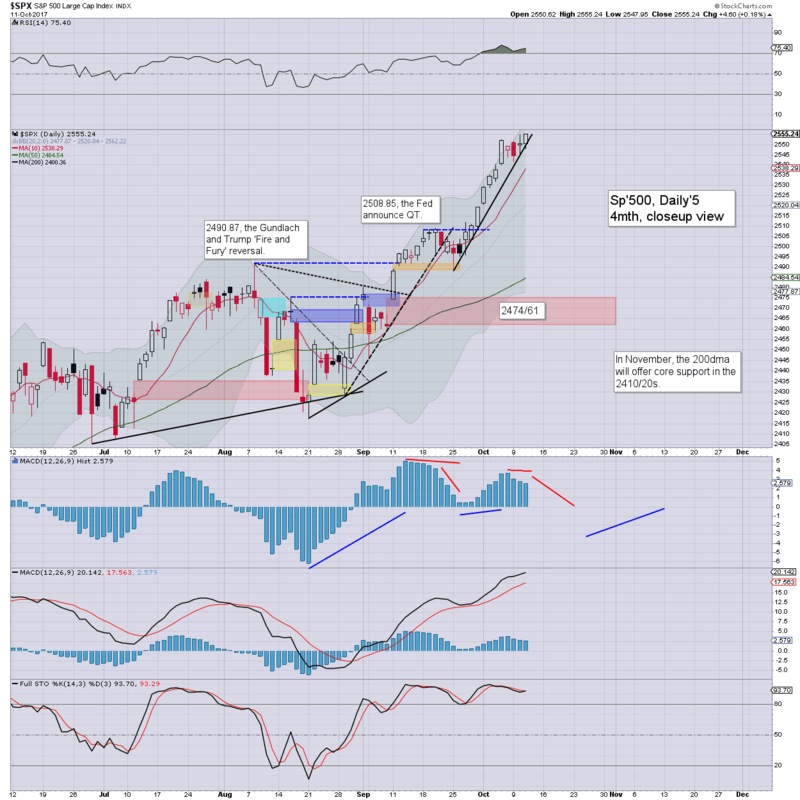 There was algo-bot upward melt in the late afternoon, and it was enough to see the sp'500 break a fractional new historic high, as the indexes settled in AH. Market volatility remains exceptionally subdued. 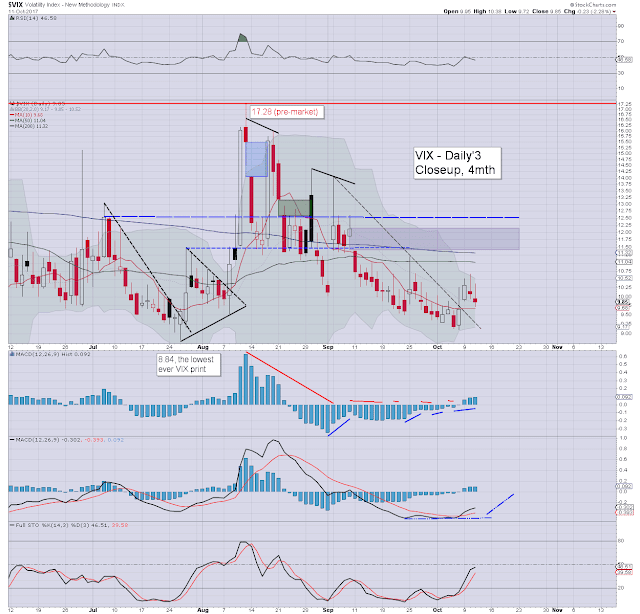 Short term price structure in the VIX is a baby bull flag, which offers the 11/12s before the weekend. Unless there is some 'spooky news', its difficult to see the 13/14s until at least early next week. re: sp'2474/61. It remains a 'technical necessity'. 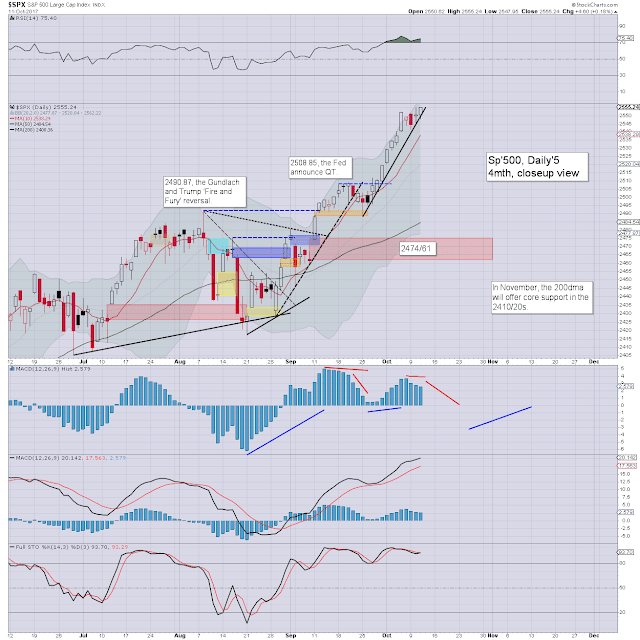 I realise some might disagree, but its no different than the July 12th gap. That took some weeks longer than expected, but it was eventually tagged/filled. Thursday, I will post here across the day. For you non-subscribers out there, it'll give you a glimpse of what I continue to offer each and every trading day. I can only hope that the main market livens up a bit, so as to make things at least reasonably entertaining. The next post will appear on THIS page Thursday at 8.30am EST.